The design of a proposed double height warehouse and two floors of office space for an office supplies company. 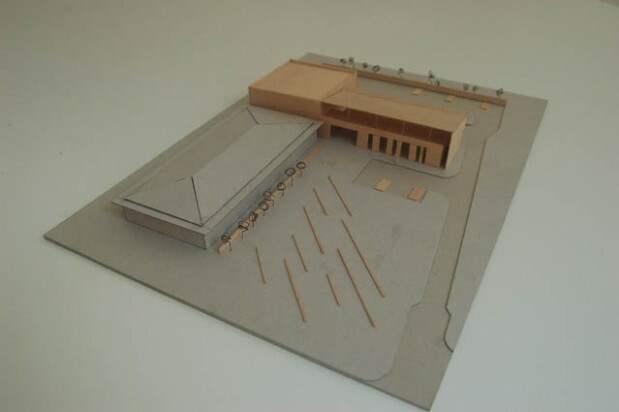 Their existing office is located in an industrial estate by Port Dundas in Glasgow, and the proposal was to meet their requirement to expand and to develop the potential of their site. The warehouse was positioned behind the existing and proposed new offices, which were designed to look over the Forth and Clyde canal to the North, and a landscaped court with views over Glasgow to the South. The potential for further expansion was anticipated and the opportunity for phased construction incorporated into the design.